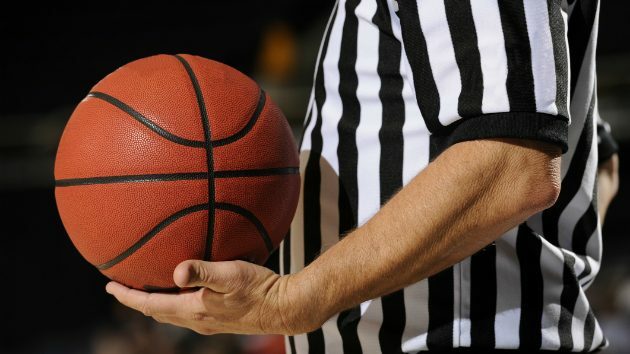 Matt_Brown/iStock(SAHUARITA, Ariz.) — A high school referee in Arizona has been fired after he made a racist comment at a freshman basketball game, according to reports. Before the game between Pueblo High School and Walden Grove High School in Sahuarita began Tuesday night, the referee asked whether the players had “their green cards,” Tucson Unified School District Athletics Director Herman House said in a statement, according to ABC Tucscon affiliate KGUN-TV. The remark was made to a Pueblo High School coach and overheard by a parent, KGUN reported. “It was said in very poor taste, and we won’t tolerate that type of behavior,” Gessner said. “Tucson Unified School District will continue to investigate and we strongly condemn any comments that have no place in an educational setting,” House said. The referee’s identity was not released. Pueblo won the game 51 to 39, according to Walden Grove’s online basketball schedule. The Arizona Interscholastic Association and Tucson Unified School District did not immediately respond to ABC News’ request for comment.